Review: 2012-11-17, nice fight with a spectacular third round: Georges St Pierre vs Carlos Condit gets three stars (UFC Fight of the Night). The American Carlos Condit ranked as the No.2 welterweight in the world, entered the fight with a record of 28-5-0 while Georges St Pierre had a record of 22-2-0 (GSP is not ranked as he hasn’t fought since April 30, 2011 when he defeated Jake Shields at UFC 129). 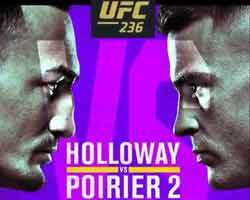 St Pierre vs Condit is valid for the UFC Welterweight title, main event of UFC 154. Watch the video!